Elmwood Lodge #582, “S3_F13_Membership Record-Geo. E. Ferguson & Thos. 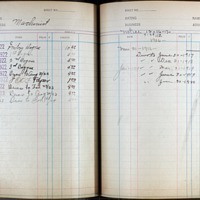 Fletcher,” Genealogy Gallery, accessed April 21, 2019, http://content.mymcpl.org/items/show/6067.